2128 15th Ave S, Birmingham, AL.| MLS# 809635 | Richard Jacks UABLIVING.com 205-910-2297 | Birmingham AL Real Estate | Contact us to request more information about our Homes for Sale in the Birmingham AL area. 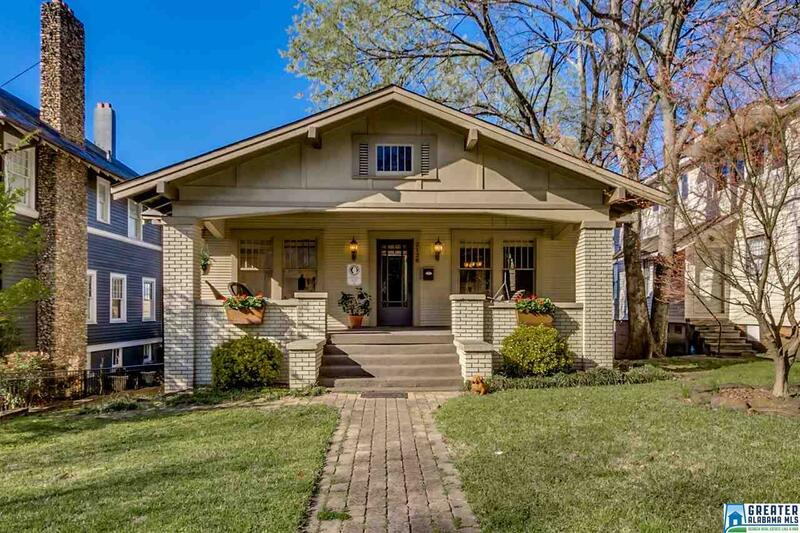 BEAUTIFUL BUNGALOW NEAR FIVE POINTS SOUTH!! Welcome to this truly special historic home within walking distance of Five Points South, Highland Park, and English Village. From gorgeous hardwoods to exquisite molding, every inch of it exudes character and charm. The large front porch is the perfect gathering spot for family and friends. You can see Vulcan fireworks on the 4th of July from the porch swing! The historical detailing of this home has been beautifully preserved along with modern updates; you'll notice both as soon as you step inside. The living room's wood-burning fireplace is surrounded with masonry and built-in bookcases. The kitchen has newer stainless GE appliances and a breakfast area with bead board ceiling. Both bathrooms have been remodeled with neutral tile and updated fixtures. Every bedroom and living space are bathed in light thanks to the plethora of windows and neutral paint. This home also has private rear parking behind an automated gate. See it today! Driving Directions: 20th North Into Birmingham. Turn Right Onto 15th. House On The Left.